I saw Rostam perform a brand new song this spring at Neumo’s in Seattle this spring, and he’s finally just released it. 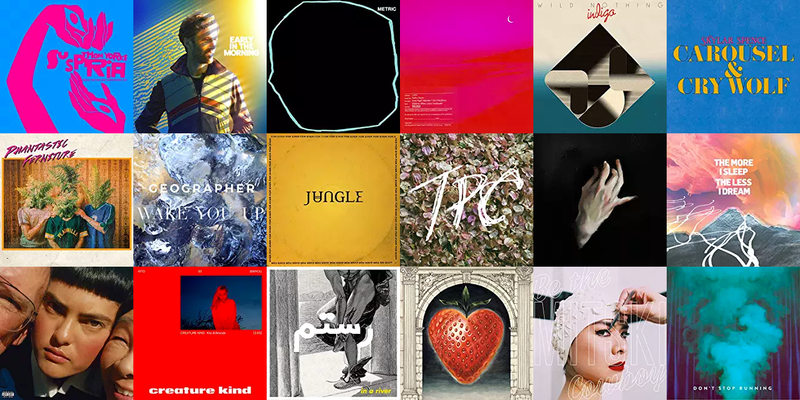 That single, and some new tracks from EL EL, Django Django, Methyl Ethel, Wild Nothing, and more are on my latest playlist. Thom Yorke has a cool track for the new horror film Suspiria, and we have a couple of interesting collaborations (Roosevelt + Washed Out and Kito + Broods). Check it out below. I also go to see a few bands at one of my favorite venues (The Greek in Berkeley). See more at instagram. Having @arcadefire open their show with Funeral front-to-back at one of my favorIte venues was incredible. You can find and follow my playlist at Dnak 107 on Amazon Music. You can follow me and check out DNAK 107 on Spotify.